Now everybody's favorite arcade game is available as an inflatable game. Have Whack-A-Mole at your next get together. A fun game as a stand alone attraction or add-on to other games and activities. 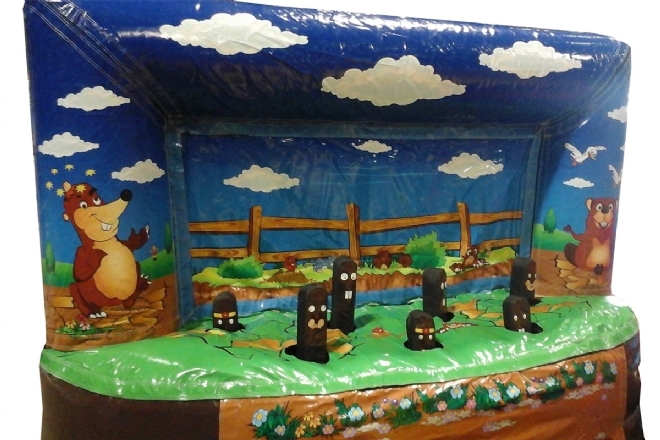 1 vs. 1 or 2 vs. 2 players, the game is 2 sided, start with an equal number of moles showing on both sides, after 30 seconds or so the side with the most moles in their holes wins. This is a very fast paced interactive game for all ages.